The Barber Pole is pictured on a 3 board sign. 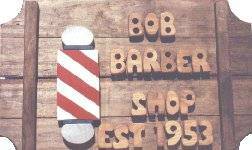 The barber pole custom wood sign is a wonderful gift for the barber or hair stylist. This personalized sign will also make a fantastic gift for that barber shop quartet.